The reported effectiveness of these home preparations, especially those with high cannabidiol (CBD) concentrations, has garnered the attention of the medical community. In particular cannabis sativa, known for its lack of a psychoactive effect and high CBD content, has become a target of medical research. The shift in public and political interest to medicinal applications of CBD demands renewed research into its efficacy. Pediatric populations in particular stand to benefit significantly from a better understanding of the safety and efficacy of this novel treatment. 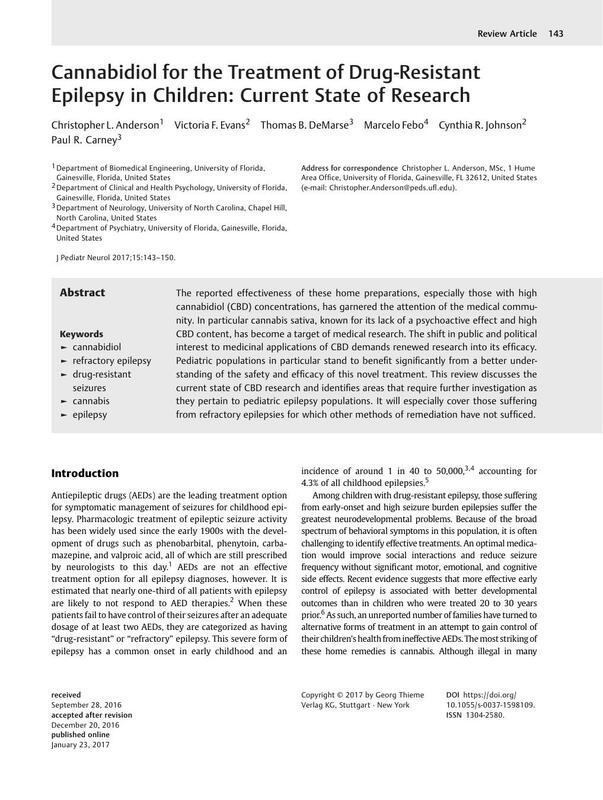 This review discusses the current state of CBD research and identifies areas that require further investigation as they pertain to pediatric epilepsy populations. It will especially cover those suffering from refractory epilepsies for which other methods of remediation have not sufficed.